We have just a few spaces remaining on some of our most exciting departures. Don’t miss this timely opportunity to book a spectacular cruise or land adventure and save on these custom-crafted programs. Up to $500 off *per person on all tours listed below. 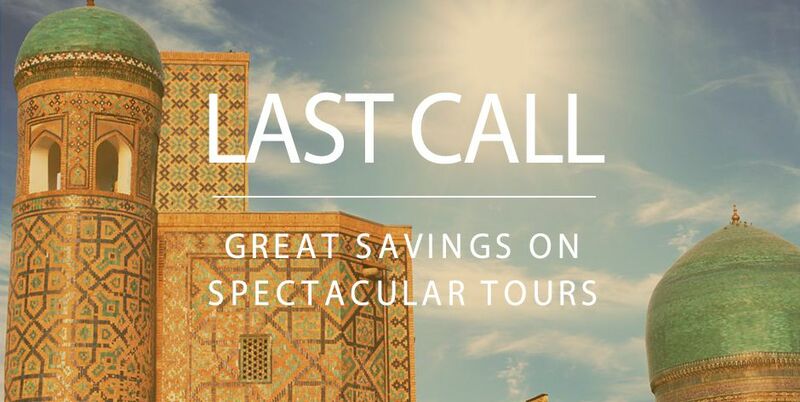 Use promotion code LASTCALL online or when speaking to our travel specialists to secure these savings.